Alan Lines, buyer at Matthews and Leigh was lucky enough to be selected by a faithful supplier, Polypipe, to take part in a corporate hospitality event, The Polypipe Regatta 2016. 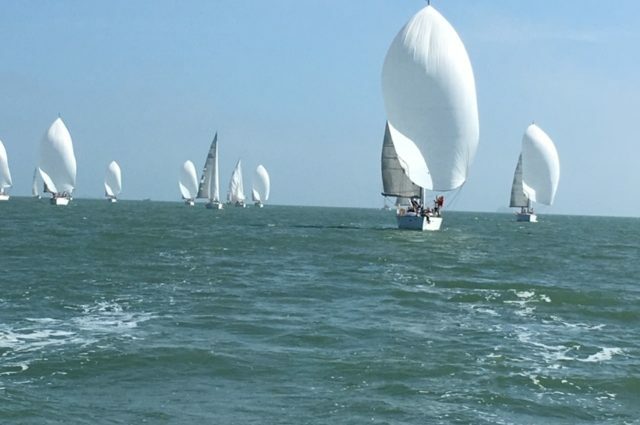 The charity sailing event held in Port Solent, Hampshire was in support of charities such as the John Merricks Sailing Trust who have in turn supported Dylan Fletcher who represented Team GB in the 49er class at Rio. The Regatta also supported Helena Lucas in her bid for a repeat Gold in the Paralympic Sailing where she admirably won bronze. Needless to say, Alan had an amazing time – particularly enjoying the ‘food and beverage’ element of the trip as the lack of breeze put the mockers on the latter part of the sailing!